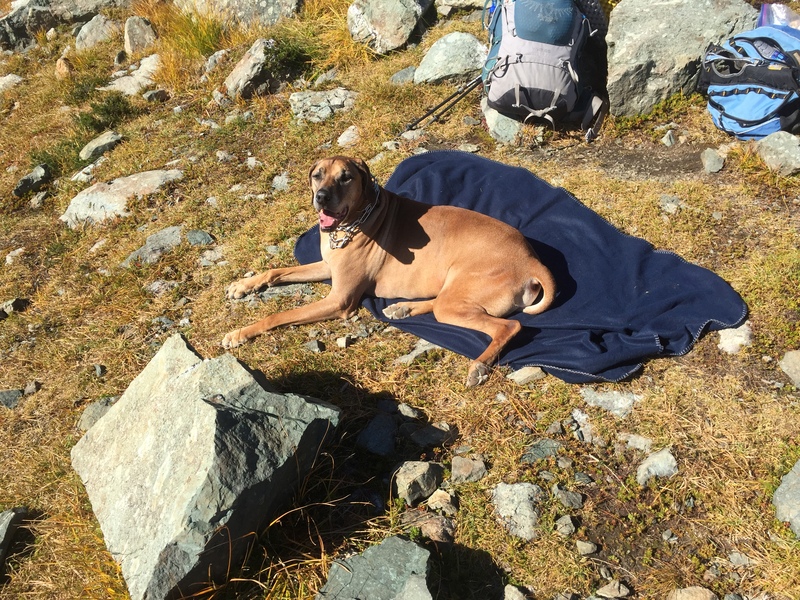 With clear blue skies and warm sun in the forecast, I grabbed my pack, and Booker the Rhodesian Ridgeback (aka the Wonder Pup), and we headed north. 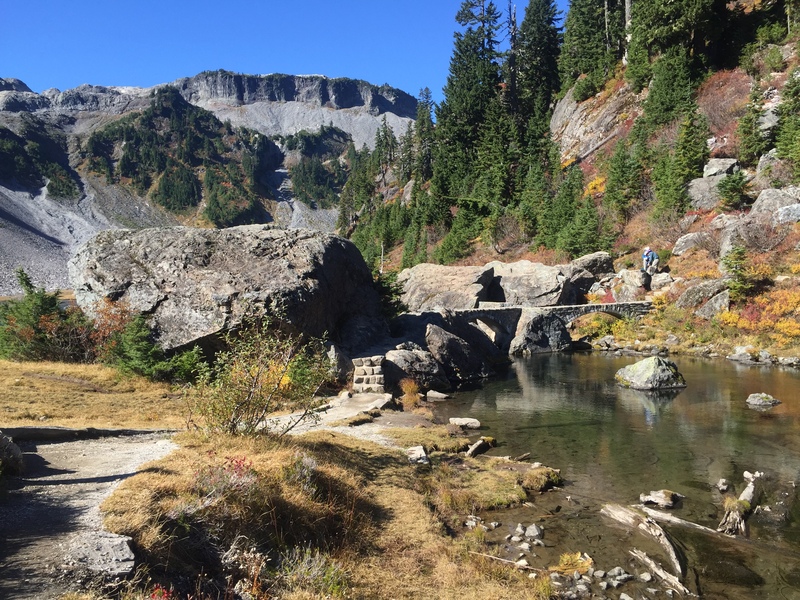 Today’s destination was the Chain Lakes Trail between Mt. Baker and Mt. Shuksan, very near the Canadian border. To get to the trail, you take the Mt. Baker Highway (542) up past the ski area. At the very end, you’ll find Artist Point. This is a fantastic place to take out-of-town guests. Even those who aren’t inclined to hike can have an in-your-face view of Shuksan, just by stepping out of the car. And there are a variety of short trails for those who would like to explore just a little. Booker and I had a little longer trail in mind. 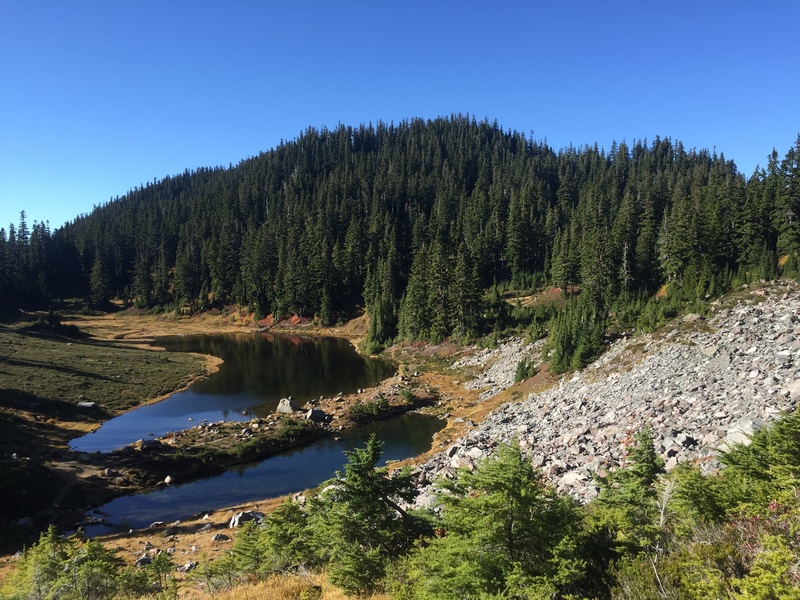 The Chain Lakes Loop explores several lakes in the area, and winds over ridges, through basins, and back up again. 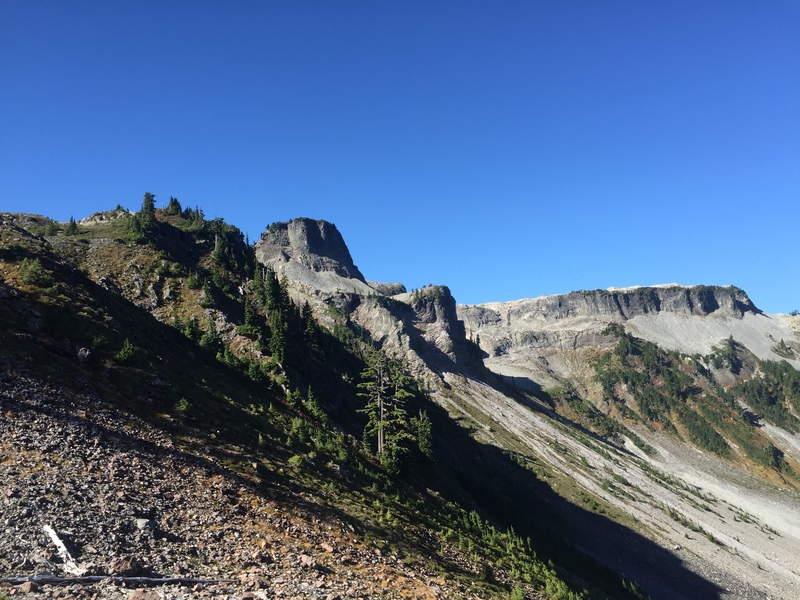 It’s a moderate level hike, eight miles and about 1700 feet net elevation gain. 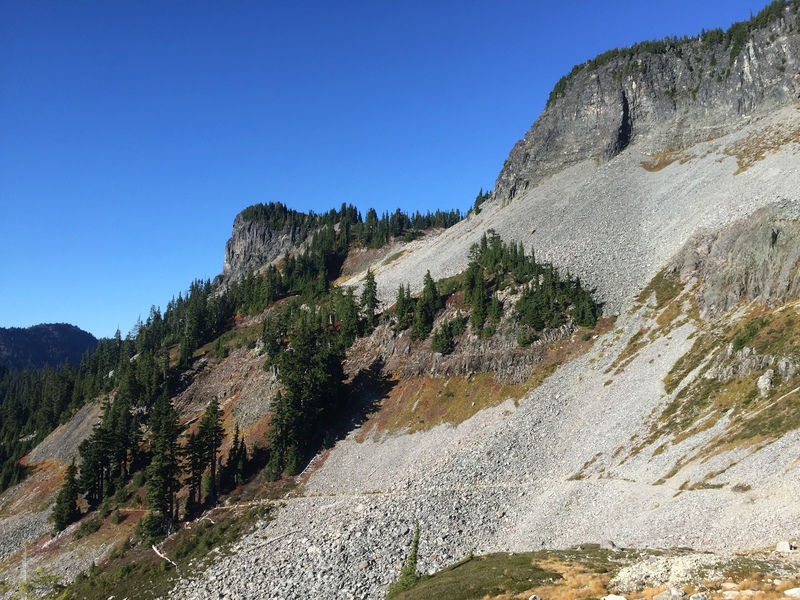 The trail has its fair share of talus (rocky slopes), but no scrambles or anything even close. We took the counter clockwise route, out of the Artist Point parking lot. 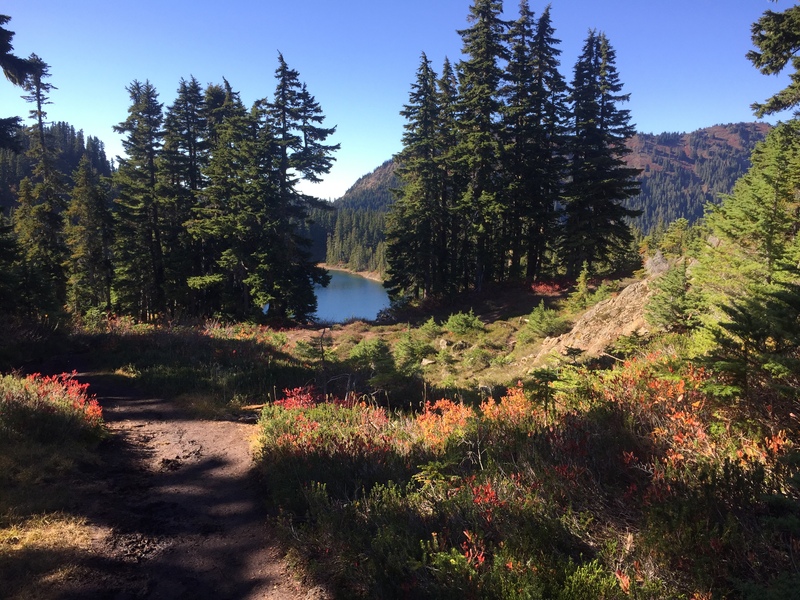 More trail info can be found at Washington Trails Association’s Chain Lakes page. Stone bridge across the stream between the Bagley Lakes. Table Mountain is in the background. 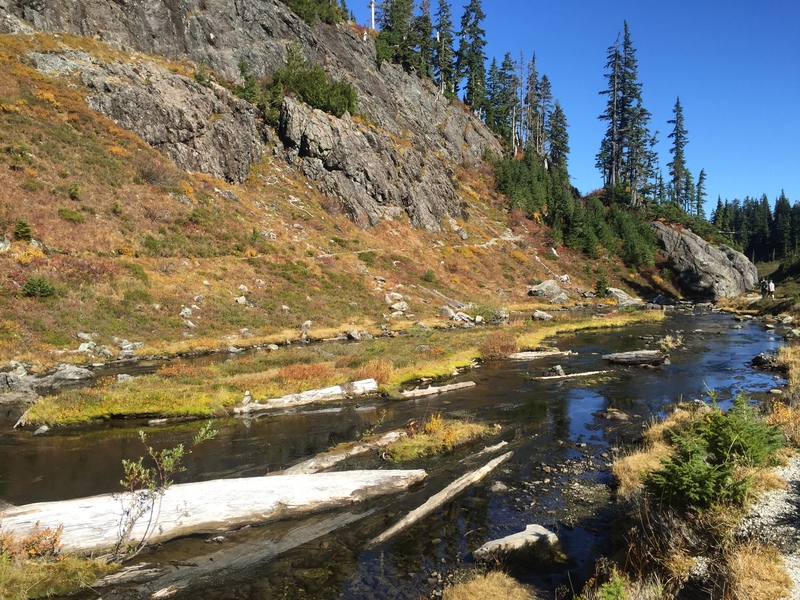 Looping around the stream and the northern Bagley Lake. Climbing out of the Bagley Lakes basin, to Herman Saddle. Table Mountain is to the left, and Mt. Herman is to the right. Mt. 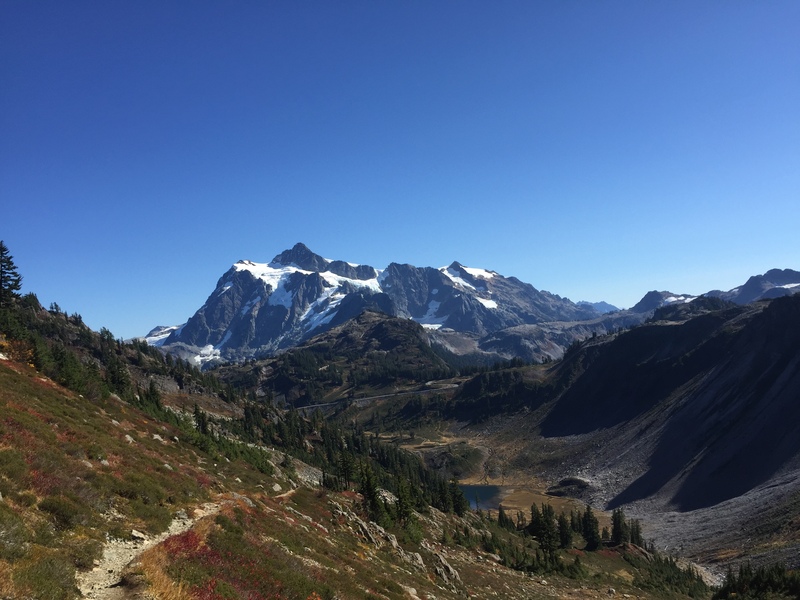 Shuksan, as seen from the climb out of the Bagley Lakes basin. The view from the saddle. 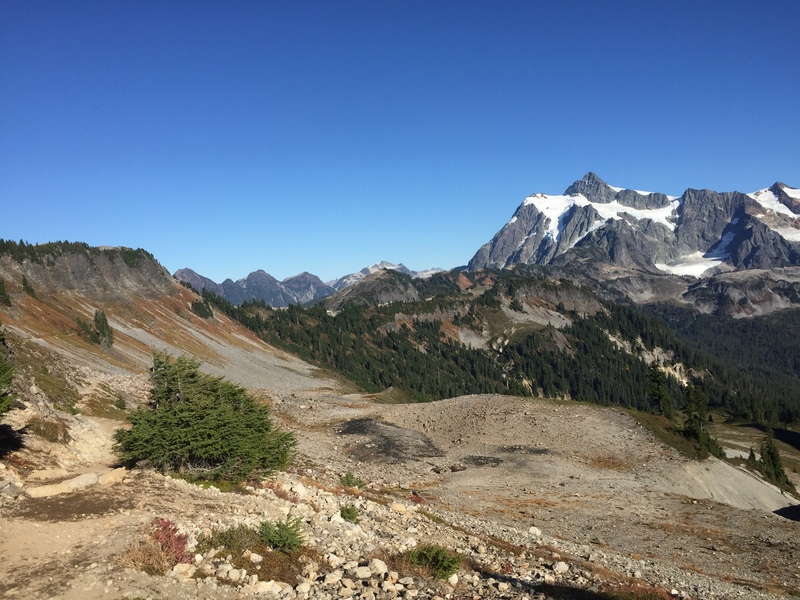 Shuksan is to the left, Table in the middle, and Baker to the right. A heck of a place to have lunch. Booker enjoyed his milk bones, and then relaxed on his new blanket. Rough life. 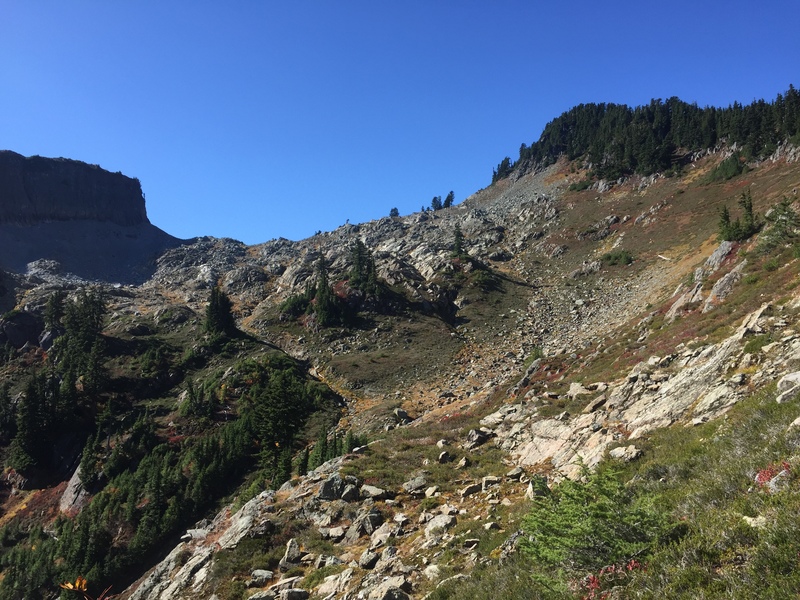 After traversing the Hayes/Iceberg/Mazama Lakes basin, the trail climbs through several talus slopes on the other side of Table Mountain. And the second saddle proved just as gorgeous as the first. Table Mountain is on the left, Shuksan on the right, and if you look carefully you can see Artist Point in the center.